We doubt it will hit as hard as his legendary battle track “Takeover,” but if new reports are true, Jay Z may be prepping an album in response to his latest beef...with his wife Beyoncé. According to a new report in Us Weekly, Jay Z is working on an album that will tell “his side of things” following infidelity rumors that surfaced after the release of Beyoncé’s latest album Lemonade. Several songs on the album allude to a cheating husband and fans and critics were quick to connect Beyoncé’s new music with longstanding rumors of Jay Z’s unfaithfulness. The veracity of those rumors would seem to have some credence based on the infamous video that surfaced in 2014 that showed Beyoncé’s sister Solange attacking Jay Z in an elevator. Still, it’s far from certain that the 46-year-old hip-hop icon cheated on his wife. Beyoncé’s father Matthew Knowles told Us Weekly that “people want to make it about her” but that she simply “dug deep and made it about something we all could relate to." 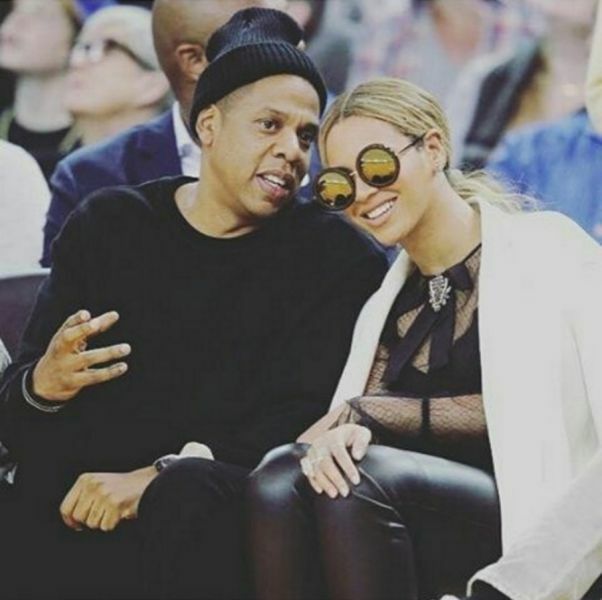 We’ll just have to wait and see if Jay Z does in fact respond to these rumors in his music but for now, the couple seems to have smoothed out their differences. Last week, Jay Z and daughter Blue Ivy were spotted dancing backstage at Beyoncé’s Formation World Tour. Watch Beyoncé’s “Formation” video in the clip below. Her world tour continues with a show on May 7 in Beyoncé’s hometown of Houston; for a full list of her upcoming tour dates, click here.